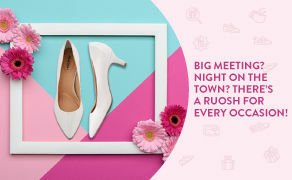 Make every occasion special with Ruosh! Ruosh is your fashion partner in every way, every day. Don’t hold back and gift yourself or a special one another select pair of Ruosh to make all occasions look that much better! 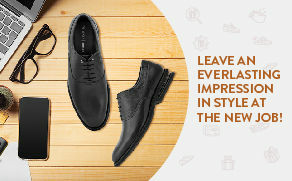 Pick from a stylish range of shoes and accessories and gift your loved one a Ruosh as they put their best foot forward at their new job! Here’s another excuse for a Ruosh! 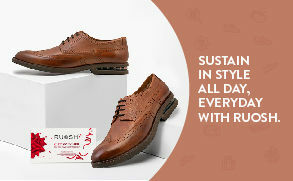 While buying a pair of Ruosh shoes is justified year-round, this is another excuse to buy that special someone a pair! Shop from a select range of footwear and accessories and gift away with Ruosh! E-Gift card once purchased is non-refundable. E-Gift cards can be redeemed at Ruosh exclusive stores only. E-Gift card cannot be exchanged for cash or credit nor can be exchanged for another gift card. Partial redemption of the E-Gift card is not allowed. If the E-Gift card is lost or stolen, neither will a new E Gift Voucher will be issued nor will the money be reimbursed in any manner.